The NBA trade rumors are flying ahead of the deadline in mid-February, and the latest word is about middling teams that are likely to either try to acquire pieces to bolster their chances this season or get rid of pieces for draft picks and young players. 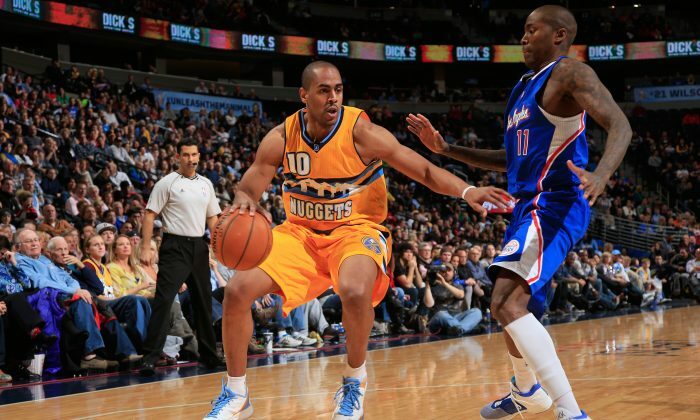 The Nuggets have been widely reported to be considering getting rid of a number of players, including Wilson Chandler, Arron Afflalo, and even Ty Lawson following a dreadful losing streak. After trading Timofey Mozgov away, rookie Jusuf Nurkic is getting more playing time. If the team can acquire several other young players for the veterans, and some more draft picks, then Denver could have a nice young core as soon as next season. General manager Tim Connelly admitted to the Denver Post: “We’re very, very aggressive right now.” Denver has also tried to deal JaVale McGree for Brook Lopez, but that likely won’t happen. Chandler has been linked to the Clippers and Trail Blazers, while most of the other players haven’t been linked definitively yet to specific teams. General managers around the league fully expect the Thunder to deal Reggie Jackson before the deadline, according to Ric Bucher of Bleacher. “There are a couple teams out there that are looking get off money to or change things up–the Denver Nuggets and Sacramento Kings–who could be potential trade partners,” said Bucher. The Kings have Nik Stauskas on the block, while Denver has Afflalo. Along with Johnson, Kennedy says Brook Lopez could very easily be on the move before the deadline. Besides Denver and Oklahoma City, Miami and Houston are two other teams that are possible landing spots. Los Angeles is scouring the market for deals, but doesn’t have much in assets to offer so will likely settle on free agency to try to get better players. 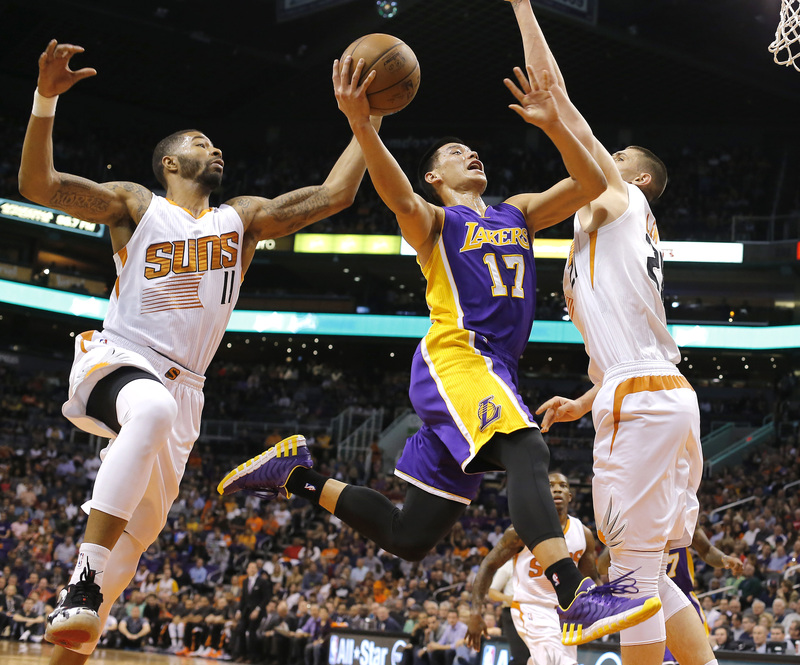 One player known to be on the block is Jeremy Lin, who has had his starting position taken first by Ronnie Price and now by rookie Jordan Clarkson. Lin presents an intriguing possibility for a team willing to match his expiring contract. Charlotte is a buyer right now, especially in the point guard market. Norris Cole and Ramon Sessions are among the players in the conversation. Kennedy confirmed recent rumors that Charlotte is thinking about trying to acquire Joe Johnson, likely for Lance Stephenson. They still want to deal Lance but want assets in return. The struggling Heat want to unload Cole, according to multiple reports. Sources told Bucher that the Heat have talked to the Pistons about exchanging Cole for Jonas Jerebko, but that hasn’t happened as of yet. The Pistons signed John Lucas III to a 10-day contract to see if he can fill their need at backup point guard, due to Brandon Jennings’ injury. Indiana has several major assets, primarily Roy Hibbert and David West, but the team doesn’t want to give up anybody because they believe they’re still a contender this season or the next when Paul George comes back. Toronto is among the teams that have inquired about West, but Kennedy says the team is not willing to undergo a fire sale despite being outside of the East playoff picture at present.